Reaching your professional goals isn’t easy – and if it is, you may have your sights set a little too low. That being said, you can make it easier by leaning on the insights of experts. There’s a wealth of knowledge out there. You don’t have to reinvent the proverbial wheel every time you’re trying to negotiate a higher salary or convince your supervisor that you’re the right person for the promotion. 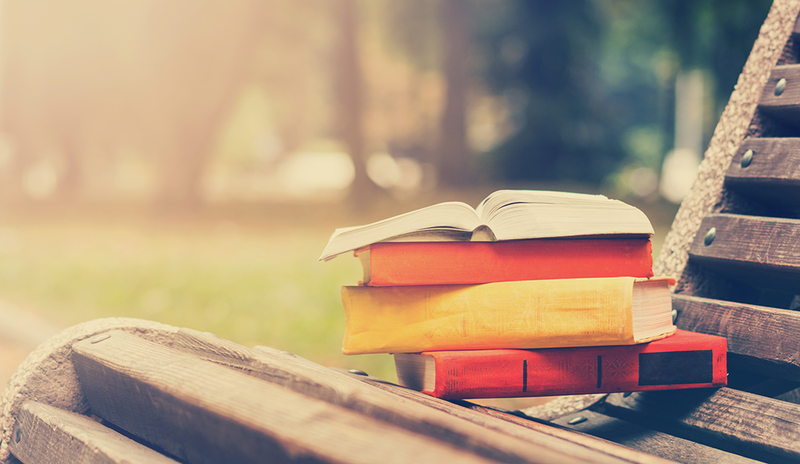 Today’s installment of Top 10 is dedicated to 10 books that contain some of the most valuable professional knowledge out there. If you want to take your career to the next level ASAP, it’s time to pick up and read. 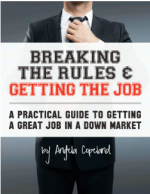 Breaking the Rules is particularly useful for those who want to improve the outcomes of their job searches. It focuses on practical steps you can take to catch the eyes of interviewers and really wow potential employers. If you’re tired of being at the mercy of job boards and unresponsive hiring managers, start here. Herb Greenberg is the CEO and founder of talent management consulting firm Caliper. He lost his eyesight at the age of ten, and in What You Aren’t Seeing, readers learn how Greenberg turned this life-changing event into a chance to uncover his full potential. The book traces Greenberg’s life from his early days in Brooklyn to the founding of Caliper, but it’s more than just a great biography – which it truly is. 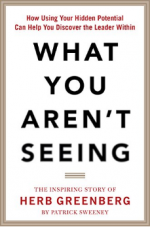 Each chapter culminates in a psychological insight drawn from Greenberg’s experience. Taken as a whole, these insights present readers with robust guidelines for living like a leader. As far as mentors go, few are as experienced and accomplished as Greenberg. While you may not be able to convince him to meet up over coffee once a week, What You Aren’t Seeing is the next best thing. No matter what line of work you’re in, you need to know how to negotiate. Whether you want to make a sale, get a raise, or just convince a colleague to help you out with something, negotiation skills are going to come in handy at some point. 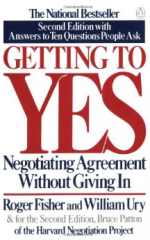 Getting to Yes is the ultimate negotiation text, offering a step-by-step strategy that you can employ in virtually any conflict. “Everyone in the corporate world, from the CEO to the security guard out front, wants to change something about their company,” says the summary of The Courage Solution. But rather than waiting around for that change to happen, the book argues, you have to own that change and make it happen yourself. 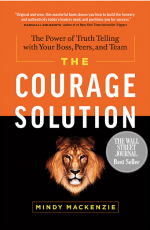 That may sound like it’s easier said than done, but The Courage Solution will show you just how to enact the very changes you want to see in your organization (or in your professional life more generally). Through taking ownership of your career, transforming your relationship with your boss, cultivating positive relationships with peers, and building more effective teams, you can alter your company – and your life – for the better. In The Courage Solution, Mackenzie teaches you how to do all this and more. 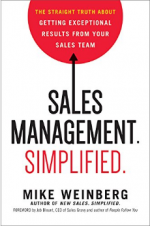 Don’t let that title full you – even if you’re not in sales management, there’s a lot you can learn from this book. Don’t believe me? Taylor Dumouchel of Peak Sales Recruiting says that Sales Management. Simplified. has helped everyone in her office. But wait – isn’t career success about “having it all”? 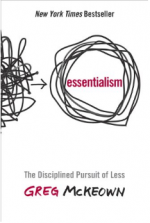 Why pursue less? Because it’s better to be great at doing a few things than it is to be alright at doing a lot of things. 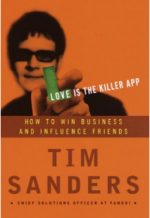 According to Love Is the Killer App, the secret to success is becoming a “lovecat” – a kind, intelligent person who shares their knowledge, network, and compassion with others. Perhaps that sounds a little pie-in-the-sky for you, but fear not: Sanders’s bestseller isn’t some New Age nonsense. 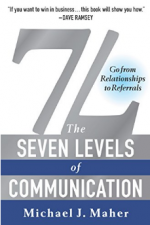 At its core, it’s a book about how to be a better networker. The advice you receive from this book might be unconventional, but you’ll definitely walk away with a better handle on how to network than you ever had before. Except David J. Rendall. If you ask him, he’ll tell you that you should amplify those weaknesses. According to his philosophy, what makes us weak is what makes us strong, and what makes us strange is what makes us exceptional. Though it seems counterintuitive, it makes a lot of sense when you really think about it. 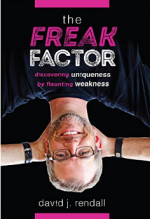 There are probably a million people out there who share your “strengths.” But your quirks and eccentricities? Those are what make you unique. If you know how to leverage those, you can become truly irreplaceable. 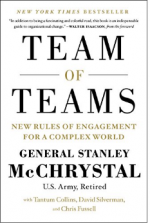 But even if you’re not running a startup or sitting in the C-suite at a multinational corporation, Team of Teams will be a powerful read for you. Its exploration of transparent communication and decentralized authority will teach you a lot about how to take charge of your career while still fitting into your employer’s bigger vision.